Every year we begin to see the holiday decorations arriving in stores, and we are suddenly filled with excitement for what is our favorite time of year. Sadly, within a few weeks, things start to become more and more frustrating, and we suffer from burnout. 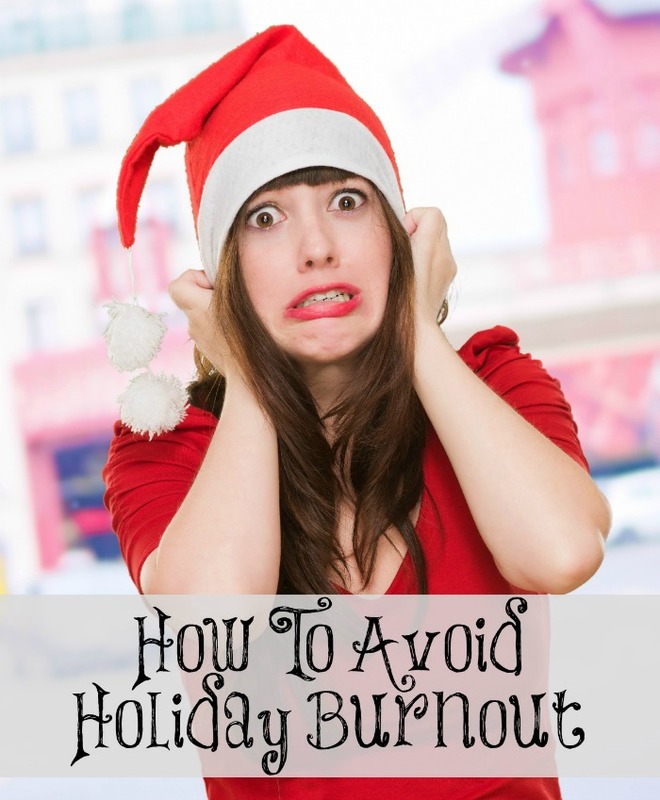 Here are our tips for How To Avoid Holiday Burnout this year. With work, kids and every other responsibility floating around, it can quickly become tough to avoid feeling run down and tired of the season. Just Say No: This can be the hardest part of the holiday season. With party invitations abounding, and of course friends and family asking for help to organize events, it is tough to say no. It is however, the time you need to stand firm and say no to things that just aren’t worth your time. Keep your goals in mind, and if something isn’t ideal for you at this time, simply decline the invitation politely and enjoy your family time instead. Focus On Family: Rather than running around trying to please everyone around you this year, focus on your family. Make sure that you are doing things your kids, spouse and select family members will enjoy and remember. Create memories, enjoy laughs and relax with those you consider family. Family doesn’t always have to be blood relation. Whoever you feel is your family is who you should spend your time focusing on during the holiday season. Skip The Gifts: Instead of buying tons of gifts this year, let everyone know that you will be spending your time and money helping others. Volunteer at a local shelter, assist in your church Christmas production, or buy a family gift instead of the traditional gifts. Let the focus become less on material things and more on the spirit of the season. Turn It Off: Sometimes the burnout comes in the form of a few too many holiday themed sweaters, movies on TV or songs on the radio. On occasion we simply need to turn it off and refocus on something outside of the holiday theme. Stay in and watch fun summer movies, give yourself a citrus and coconut scented spa day at home, or mix up your favorite milkshake instead of eggnog. We occasionally just need to turn things off and refocus to be able to enjoy the holiday season fully. Don’t feel badly if you tend to have holiday burnout during the stressful last few months of each year. With back to back holidays, parties and sudden changes of seasons it can be overwhelming to anyone. This year use our tips for how to avoid holiday burnout, and rekindle your love for those sacred moments sharing memories with your children of years gone by. Previous Article Previous post: CASHFLOW, where board game lovers get real! Next Article Next post: Having a Chuggineers Ready to Build kind of Christmas!